Golden hued beauty abounds in Valletta, the capital of Malta. When UNESCO bestowed World Heritage Site status upon the city it described Valletta as 'one of most concentrated historic areas in the world'. Indeed Valletta, since its founding in 1524 by the Order of Saint John, has played an important role in European history, perhaps best known for repelling the Ottomans at the Siege of Malta. The siege paved the way for the construction of the magnificent fort structures that now dominate the city. Awash with charm and heritage, it's hard not to be swept away by the majesty of the place. The city sprawls out over a couple of peninsulas, but the best places to stay in Valletta are in the heart of the old town. The city's history has been punctuated by religion, most significantly by the Order of the Knights of Malta. As a result Valletta, is home to a number of stunning churches. The most famous of these is the sublime St. John's Cathedral, which is a must visit. The Cathedral is home to Malta's most famous artwork, the Beheading of St. John the Baptist by Caravaggio. Caravaggio lived for a while on Malta after his expulsion from Rome and was commissioned by the Order of St. John to paint a number of pieces. Also worth visiting is the Grand Master of the Knights of Malta's Palace to get a fascinating insight into the history of the Order. Museums such as the National War Museum and the National Museum of Archaeology reflect the island's rich heritage and history. Take a walk along the city's amazing fortified walls that for centuries have given Valletta military strategic value. A truly mesmerising city, it is still a very underrated tourist destination. However with the city being named the European City of Culture in 2018, the secret is definitely getting out. The best places to stay in Valletta range from delightful small boutiques to luxurious five-star hotels. Overlooking the harbour, Ursulino is a delightful small hotel in the heart of Valletta. Enjoy cocktails on the roof overlooking the city and relax in the hotel's plush rooms. A great choice for a relaxing romantic break. Set in a beautiful townhouse, Casa Ellul is a charming, family-run hotel in Valletta's Old Town. Featuring lovely rooms, an ecclectic collection of artwork and a rooftop with stunning views out over the rooftops of Valletta. De Vilhena is a gorgeous historic property in an enviable location just off Valletta's main square. Sleek modern rooms are filled with original works by a local artist, plus there's an excellent Italian restaurant and roof terrace for soaking up the views. Domus Zamitello is a meticulously restored 16th century palazzo, whose twenty seven rooms offer modern luxury with a baroque touch. At Palazzo Consiglia you'll find a beautifully restored property with just thirteen rooms. All are individually designed and ooze opulence, yet have a distinctly modern feel. Osborne Hotel is a cheap and chic option in the heart of the city, which boasts a rooftop plunge pool and accompanying city views. Valletta's grand dame, The Phoenicia, is a glamourous, spoiling property with beautiful gardens and a stunning infinity pool with views over the harbour. 66 St Pauls is a newly renovated 17th century palazzo with just six rooms offering luxury accommodation plus a rooftop pool. Palazzo Consiglia will appeal to those looking for a small property with superb facilities including rooftop plunge pool and excellent spa. 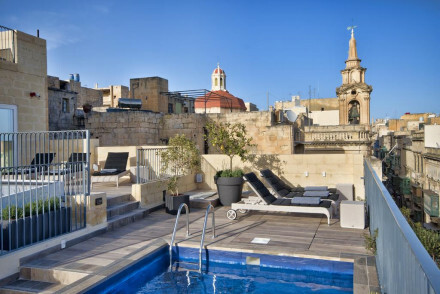 Valletta Suites is a stunning, three bedroom boutique nestled into the city centre. 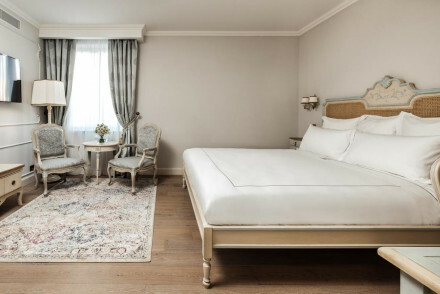 Each suite has been designed with elegance and care, offering a delightful balance between modern luxury and historic charm. A superb base for a romantic holiday in Valletta. With just five individually styled rooms, The Coleridge is another good choice for those looking for a quiet, adults only base. Come here for elegant interiors and a great location. su29 offers six individually styled rooms with marble floors and sleek interiors in a fabulously central location. Awash with traditional charm, Luciano Guesthouse is a beautiful historic townhouse in Valletta. A stone's throw from St. John's Cathedral, the guesthouse features comfortable rooms with traditional furnishings and four poster beds. A great low-cost option. The Castille is a charming three star option in an unbeatable central location, with an excellent pizzeria on site and the added benefit of a roof terrace with a view. Doubles start from as little as €130 during the summer months. 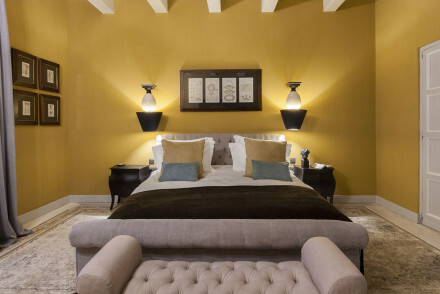 The Vincent is a 400 year old palace conversion which now houses a range of comfortable rooms and apartments with prices starting from as little as €116 per night including breakfast. Opulence abounds at the stunning Phoenicia Hotel. Designed with a distinctive art deco feel, the hotel features sumptuous rooms, an atmospheric 30s bar and a pool with some of the best views in Valletta. Ideal for people looking for an indulgent break. The Saint John is one of the newest additions to the Valletta hotel scene. It beautifully combines an historic building with chic, contemporary interiors. and all the latest technology and gizmos you'd expect in a top notch property. Valletta has an all year round temperate climate but in the summer months it gets very hot. For us, the best times to visit are from March to May or September to November. Have another look at our selection of the best places to stay in Valletta. Alternatively browse our list of all the best places to stay on Malta. A beautiful historic townhouse in the old town of Valletta. 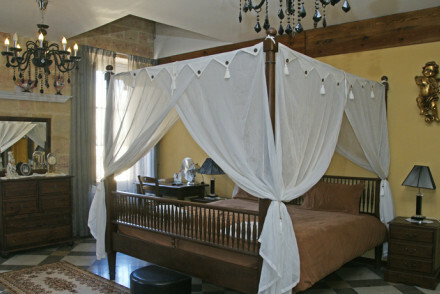 Traditional romantic bedrooms with four poster beds, soft fabrics, stone walls, chandeliers and private balconies. Walking distance to restaurants and all the attractions. Excellent value. Sights nearby - Right next to St John’s Cathedral. A historically-rich and friendly hotel with an unbeatable central location. Fantastic pizzeria in the wine cellar and lovely roof terrace restaurant with views of the harbour. A perfect spot to explore the sites from. A perfect base to explore the cultural offerings of Valletta and an excellent spot for business travellers. Bright clean rooms, rooftop terrace with swimming pool, harbour views, and buffet dining. The perfect city bolt-hole. 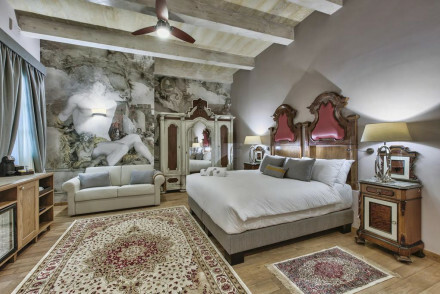 400 year old Palazzo in the heart of Valletta with cosy, uniquely and eclectically decorated suites. 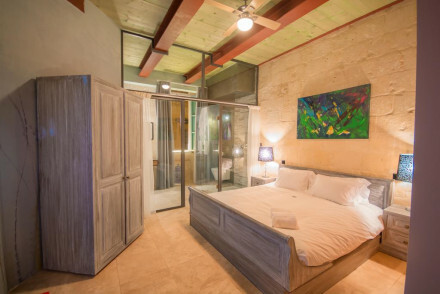 All rooms have kitchenttes, en suite showers, espresso machines, A/C and a safe, amongst a cacophony of colour and chic artworks intermingled with designer furniture and cool stone walls and floors. Value chic - With doubles starting from as little as €116 including breakfast, it's exceptional value for money. Sights nearby - With its central location, you can explore Valletta easily on foot. A haven for the design conscious: modern luxury meets historic charm in these apartment suites and unassuming townhouse. Traditional brickwork, balconies, high ceilings, sun trap terrace, picture perfect rooms with antique furnishings and oriental rugs. Chic, intimate, delightful. 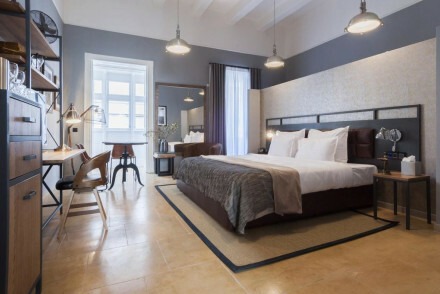 Stylish hotel located just off Valletta's main square. 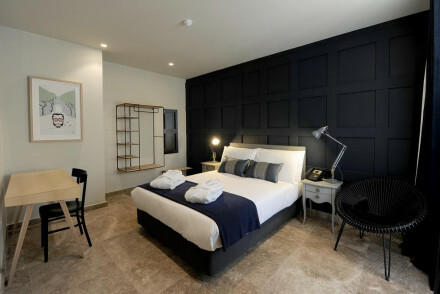 Rooms are minimalist, sleek and have original artworks from a local artist, marbled bathrooms and Molton Brown toiletries. In-house Italian restaurant and a superb roof terrace with amazing city views. A chic stay in the centre of town. Local exploring - Ideal for going to the Manoel Theatre, perusing the Museum of Archaeology or sampling local cuisine at the local market. An elegant boutique property in the heart of historic Valletta. Five individually styled rooms are traditionally dressed with choice antique furniture, gilded frames, wooden floors and heavily draped windows. The bathrooms are however an entirely modern affair. An intimate and luxurious base. Local exploring - With many attractions within walking distance this is a luxurious base to discover the city from. Sights nearby - Discover the historic Fort St Elmo and learn of the island's history in the attached museum. Luxury boutique hotel in world heritage listed coastal city Valletta with panoramic views. Family owned and run, there are eight large and elegant rooms in this neo-classical townhouse with marble bathrooms, traditional Maltese balconies and quirky artworks. Chic, stylish and comfortable. Newly renovated 17th century palazzo offering outstanding luxury in the heart of Valletta. Located just a stone's throw away from most of the cultural sights, comprising individually styled interiors and a terrace with rooftop pool, 66 Saint Paul's is an unmissable place to stay in the capital city. Sights nearby - The Church of St Paul's Shipwreck is directly beside the hotel and other fantastic sights eg. Upper Barrakka Gardens closeby. Great walks - Stroll along the Valletta waterfront or take a city tour to admire the countless examplesof stunning Baroque architecture. Spa - Luxurious spa located in the basement or treatments can be arranged in your room. 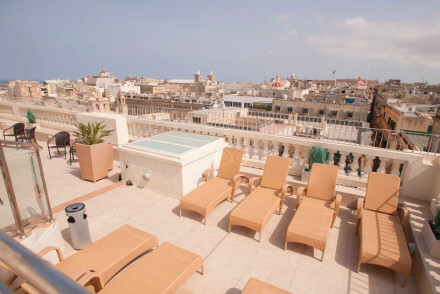 Views - Enjoy panoramic views of Valletta and the three cities from the roof terrace. Meticulously restored, chic 16th century Palazzo. Offers modern luxury with a baroque touch, ideally situated on Valletta's main high street. 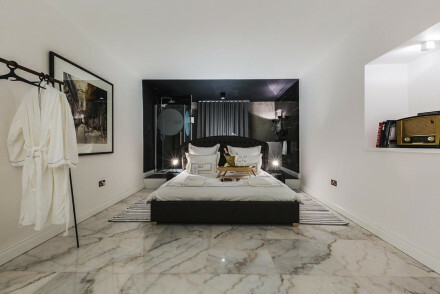 King sized beds with marble bathrooms, roof terrace encapsulating elegant views. Stunning, boutique break for historical city escape. Sights nearby - Visit the Upper Barracca Gardens for panoramic views of the Grand Harbour, University campus, city market and much more. Architectural - Enchantingly restored, historic 17th century Palazzo. 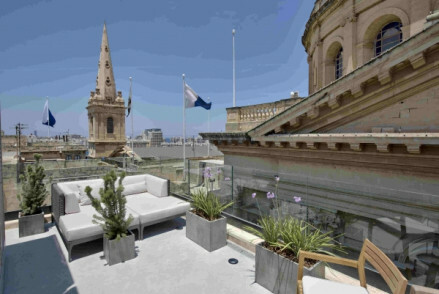 A contemporary hotel set in a historic building in the heart of the vibrant city of Valletta. Beautifully renovated throughout, modern furniture and fittings sit well against the building's original features. Housing an atmospheric bar and just steps from the city's many restaurants. Fabulous. Local exploring - Ideally situated to explore Valletta by foot. Sights nearby - Make a trip to the fabulously adorned St. John's Co-Cathedral and marvel at the Caravaggio frescoes. A small and perfectly formed boutique hotel boasting an excellent location overlooking the harbour. Contemporary rooms are light and airy with large windows, plush leather bed-heads and private balconies. Spend evenings sipping on cocktails on the roof terrace boasting incredible views of the ocean. Romantic Break - The palatial penhouse suite offers a private balcony with stunning views over the city and harbour- truly romantic! 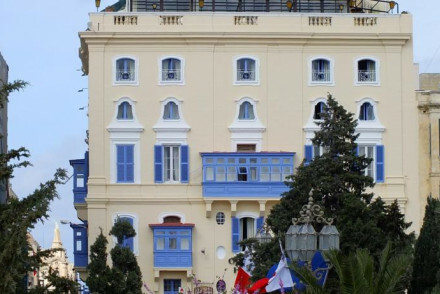 Local exploring - Well located overlooking the ancient Grand Harbour and within easy access of many of the city's sights. Sights nearby - Visit the elaborately adorned Saint John's Co-Cathedral. A small boutique hotel set in the heart of historic Valletta. Beautifully renovated throughout the building keeps its opulent charm yet has a distinctly contemporary feel. Luxury has been added throughout with a spoiling spa, plunge pool and rooftop terrace offering glorious city views. Local exploring - Well positioned to walk to all of Valletta's cultural attractions. Sights nearby - Visit the fascinating Knights-period Fort St Elmo. 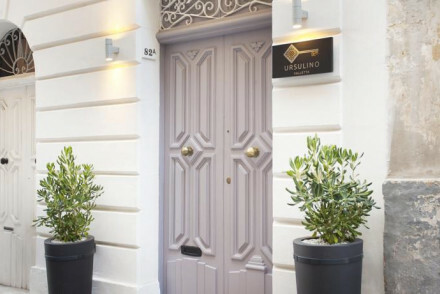 A chic contemporary hotel in a historic building right in the heart of this picturesque city. Grown up rooms have a masculine touch with grey hues, black and white photographs and crisp white linen. Comfort food is served in the lively restaurant and bar. Ideally placed to explore the city. Local exploring - Ideally located in the heart of the city with most of the main attractions within walking distance. Sights nearby - Visit the nearby Palace of the Grand Master. 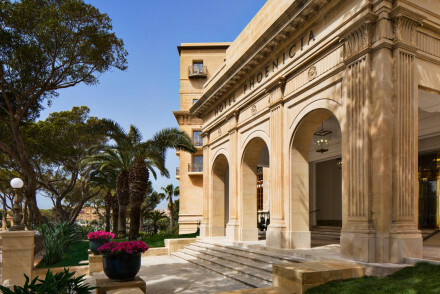 The grand dame of the Maltese hotels still upholds its 1930s glamour. Art Deco in style with marble floors, arched glass windows, 30s cocktail bar, and even a ballroom. Harbour views and fantastic gardens. Go back in time on a cultural adventure to the glamour of a bygone era. Local exploring - Local exploring in style just outsided the entrance to Valletta, within walking distance of the main sights and top restaurants. Sights nearby - Explore the Ggantija, a Neolithic temple complex and one of the oldest free standing man made structures in the world. Sailing - Boat tours can be arranged through the hotel, the perfect way to see the coast. Diving - Guests can explore the wrecks and caves around the island with dive guides.